Recently someone told me that I sounded like I was losing faith. After an interesting year filled with injury, loss, life and death, pain, suffering and sorrow I began to think that yes, perhaps I had lost faith. The question was, what is faith and how do I regain it? For those who know me, you all know I am always saying trust the process. With so much to deal with this year, I believed with all my might that I trusted the process. What I have come to realize is that I was simply doing the footwork and was faking it till I thought I could make it. Then there came a point where faking it was no longer working and I was left very distrusting of the universe. Truth is I lost faith, or did I? 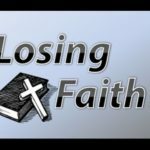 I never thought I would be put in a position of losing faith because I worked so hard throughout my life to gain my faith. I was raised that faith was believing in my families God and religion, which was very intolerable, and judgmental. It took me years to disown the God that was shoved down my throat and reinvent what I personally thought G-O-D was. Then I realized that faith was not about God as much as faith was simply a complete and utter trust in someone or something. Faith is really hope, and trust. While faith is not blind, we can be blindsided and our faith can slip and fall. However, the question is do we ever really completely lose faith? When my personal landscape becomes dark and the light is dim, I must remember that the dim light is still faith. Faith is difficult in dark trying moments, but keep in mind, even in your darkest moments, you make plans. You plan to eat, you plan to go to bed, you plan to go to work, you plan to cry, you make plans to sit and stare off at the wall, whatever it is, you make a plan whether you know it or not. It is important to know that when we make plans it means we have faith–we have faith that we will be alive to put those plans into action. For instance, this morning when I woke up, I told my spouse at 5:30am that I had a 10:00am massage. I had faith that I would be alive and well to receive the massage. I know that doesn’t sound like faith, but it is faith. I trusted aka, had faith, that I would dress and show up for that appointment, and I did. Looking at faith from a “religionless” point of view can be interesting. My faith is not in God as much as my faith is in the universe and trusting it’s process. My faith comes within myself that I am able to allow my plans to follow through. Life happens one moment at a time and when I begin to understand that, I am able to breathe deeper and more fully and trust, aka have faith, that the next moment will provide me with the things I may need, even if it is just the stillness and calmness that allows me to take a deep breath. 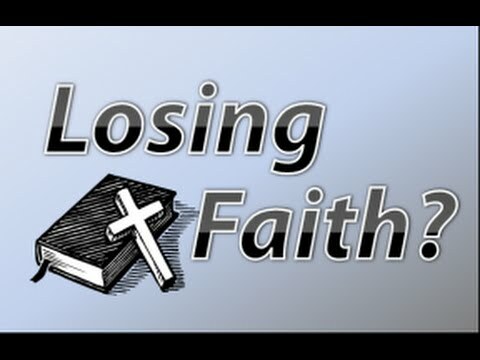 Losing faith isn’t about religion as much as just being able to trust the process in the very moment. Sometimes, all we can do is just be in that moment and have faith that the next breath will come and to me that is not losing faith as much as recognizing that I still have it. Can it get stronger? Of course, that is another blog!